OMORIKA RECYCLING ltd was founded in 200 to start P.E.T. wrapping recycling process. Today we are a state-of-art recycling plant for P.E.T. wrapping material. As the first P.E.T. recycling plant in the region and with this technology, we have become the leading organisation in the trade of P.E.T. recycling in Bosnia and Herzegovina. We are devoted to needs of the times today, to the future of our children, to a cleaner and healthier environment. 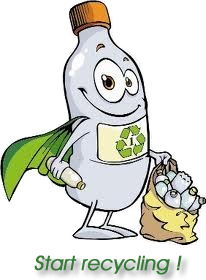 Keeping our respect to the nature and the man alike we are dealing with on efficient economy, we are – RECYCLING PLASTIC. Preserving natural resources and environment. Decreasing the number of depos and soil contamination. Making people aware that not all the waist is garbage. Decreasing unemployment and develop a profitable business by recycling plastics – P.E.T recycling. We use waste PE.T. wrapping as our raw material and recycle it in our modern recycling plant situated in the village of Johovac, near Doboj. The plan installations is capacity is 400t/month. pure grind packed as semi-product. Austalian Company „Starlinger“, equipment for P.ET. regranulation – RPET – meets the highest standards in P.E.T recycling. SSP IV+ (solid-state-polycondensation) technology enhances IV (intrinsic viscosity) and decontamination. Austrian Company “Erema” and German “Kuhne” equipment meet the highest standards (including FDA) in production food packing material. As the input material , we use P.E.T. grind or P.E.T granulate. The process comprises P.E.T. grinding with SSP IV+ (solid-state-polycondensation) technology enhances IV (intrinsic viscosity) and decontamination. We make thermoforming P.E.T foils in various colors, according to the desires of the buyer. The equipment is entirely automatic, possible to enhance with control parameters in order to achieve appropriate quality. We are devoted to needs of the times today, to the future of our children, to a cleaner and healthier environment. Keeping our respect to the nature and the man alike we are dealing with on efficient economy, we are – RECIKLAŽA PLASTIKE.